The Metadefender Client CLI can also be used to generate the administrator password hash. 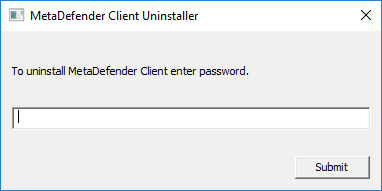 This password is used to uninstall the Client or allow the user to disable USB blocking until next restart. To generate the password hash, use the "–hash_password" command followed by your desired password. 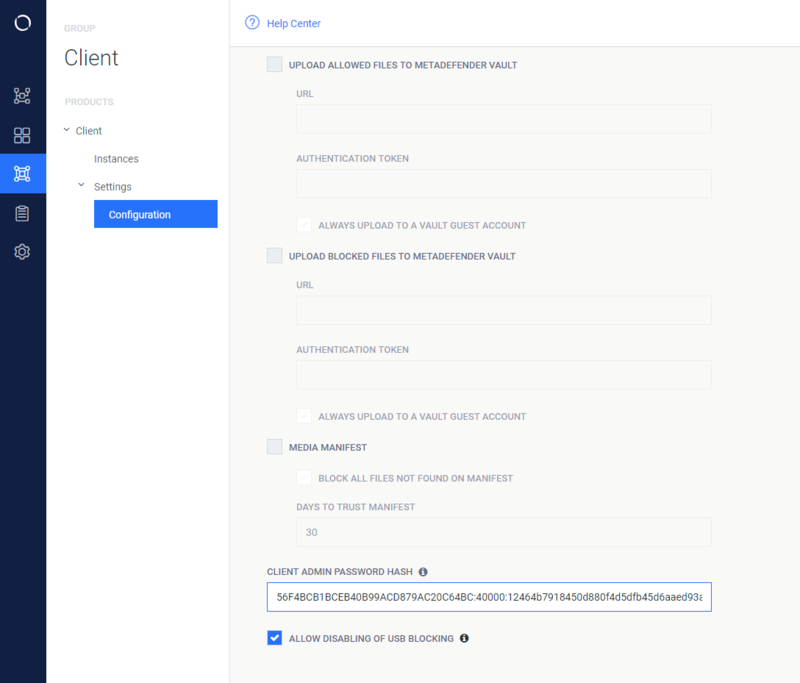 Next, click "SAVE SETTINGS", then open up your Metadefender Client group and click "COMMIT CONFIG CHANGES" to apply this password to all Client instances managed by Central Management.